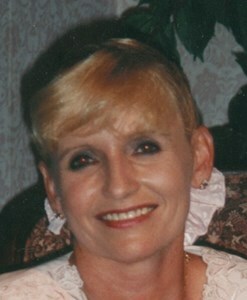 Newcomer Family Obituaries - Karen J. Rose 1949 - 2019 - Newcomer Cremations, Funerals & Receptions. Karen J. Rose, age 69 of Tipp City, passed away January 18, 2019. She was born October 17, 1949 in Greenville, OH to her mother, Doris (Mote) Saunders and her late father, James D. Saunders. In addition to her father, Karen was preceded in death by her brothers, James L. Saunders and Douglas A. Saunders. She is survived by her mother, Doris of Laura, OH; children, Tom Rose of Gettysburg, OH, Sheilah Rose of New York, NY and Edie Rose of Kettering, OH; grandchildren, Michael Rose, Brandon Rose and Allyssa Jones; siblings, Bonnie & Terry Barga of Laura, OH, Ken & Julie Saunders of Laura, OH, Lonnie & Saundra Saunders of Troy, OH; sister-in-law, Glenda Saunders of Laura, OH and numerous nieces, nephews, extended family and friends. Karen served as a Missionary in the United States and Europe for 25 years. She was a member of Living Word Church in Vandalia. Family will receive friends from 5-8 PM on Thursday, January 31, 2019 at Newcomer North Chapel, 4104 Needmore Rd. A funeral service will begin at 10:30 AM on Friday, February 1 at the funeral home with Pastor Pat Murray officiating. Interment will follow the service at Riverside Cemetery, West Milton, OH. To share a memory of Karen or leave a special message for her family, please click on the Share Memories button above. Add your memories to the guest book of Karen Rose. Sorry to hear of your loss. I was an acquaintance of Karen’s and would very much like to contact one of her children. If that is possible please email me. We were so sorry to hear of Karen's death. We find it hard to even believe that she is gone and will miss seeing her very much, but we know that she is so happy being with the Lord now. Kay saw a vision of her in heaven shortly after she died walking peacefully through the meadows there, enjoying the beauty. We know that she was so happy to reconnect with her childrens' and familys' lives again in the last few years and her heart was aching to have those reconnections. She was so proud of her children and so happy to spend time with them again. Her prayers for her children and family are still active and working. We know she will be greatly missed by many as we share in your sorrow. Karen was a very special woman who dedicated her life to God and who loved Him. All her being was expressing the love of God. We are so greatful to have known her! She was a great blessing to our family! Our sincere condoleances to her family and close friends. Flory and the family. We have known Karen for many years (over 20 years). From the first moment we loved her, on her face radiated the love of Jesus all the time, and in her life we saw clearly what it means to love with the love of Jesus, regardless of someone's social status. She conquered our hearts. It was always a great joy to be around her. For our family she was and will always be like a spiritual mother from whom we have learned so much from God's Word but not only. The prayers, prophecies, and advice that we have had through Karen have been of great help and support, and we will never be able to forget her, because she has a special place in our hearts. Sincere condolences to all her family. We met Karen through Open Bible and immediately fell in love with her. She was at our church in Gassaway, WV several times and always stayed with us. We had great times of fellowship. When Open Bible conference was in Ohio we stayed at her mothers house - which was just beautiful. We kept in contact through letters while she was in Romania. We lost tract of her after she was no longer a missionary with Open Bible but have often thought about her and prayed for her. We are very sorry for your great loss...Karen was a wonderful Christian lady and she will be missed greatly!! We pray God's blessings of peace and comfort will be with the family and friends!! Our deepest sincere condolences go out to all of you who were family and dear friends to our sister Karen!!! Karen became our big sister back in 1990 when she moved to Romania!!! She was a part of our family and more than that a part of our hearts!!! All of her life, Karen displayed an unselfish love that could only come from someone who truly loved God!!! Her selfless love and ambitions to change the community of Gherla and the country of Romania became a reality, touching the lives of many orphans and widows, pour and helpless people , she indeed moved mountains !!! We will forever remember her beautiful smile and her kind heart!!! We love you dear Rose family and please know that you are in our prayers !!! Hi my sweet Mama, I don't have enough words to thank God for bringing you in our lives and in our country, Romania. You risk your life in Romania during the communism to bring the Bibles to us. You loved us unconditional and you showed us the Father's Love through you actions. You allowed me to be your daughter too, Wich was great privilege. I know I couldn't be were I am today if wasn't about you. Thank you for taking the time to visit us, to teach us even to rebuke when necessary, but most of all to love us. I still can't believe that you are no longer with us. I miss you so much and I wish to hear your sweet voice and see your smiling face. You taught me so many things. Thank you for the propecies that God gave you for me and my family. I miss you Mama I wish you could come to New Hampshire again to visit us. I know that one day we will be together in heaven . Love you so much!!!!! Karen was a very giving and caring sister in the Lord. She lived a selfless life and always had a smile . We will forever be grateful for knowing her in this life and look forward to sharing eternity with her in the Lord's presence. She made life for uncounted orphans in Romania better because of her ministry. We offer our sincere sympathy to all of her children. You mark our house with your heavenly smile and conquer our hearts with your beautiful love. We have been so blessed to know you and to have you so close to our hearts. Your love for God inspired us in every aspect of our life, thank you for letting Him, our Heavenly Father, shine through you. We love you deeply and you will be forever in our hearts! God has made me so gracious to meet you ... I have seen what it means to look at people through the eyes of God, to hear them through the ears of God, to speak to them the words of God and to give them love with the heart of God! I wish I could behave how you behaved in this world, and I miss seeing ourselves in the presence of the Father. There are no words and no time enough to say how much I miss you. I'm glad I had the pleasure of meeting you. You have been and will remain forever in my heart as a spiritual mother because of all the words of encouragement and comfort given. You were an angel among us and a blessing for our souls. I miss you and our pizza with spicy sauce...:( I know you are in heaven watching us with our Daddy...See you in heaven soon my lovely Karen. We are grateful that Karen was part of our lives and family. She brought upon us the smile of heaven and she thought us a valuable lesson about the Fathers kindness and love. We would like to thank her family whom understood her path in worship and where kind enough to share her with us. We strongly believe that our Father will heal your hearts and we will all meet in heaven and be joyful! Personally I have many reasons to say to you "Thank you, dear sister Karen!". God spoke through you a few times to me and that was a very encouraging message for me and that helped me to stand up troughout the trials that followed and I still keep reading the prophetical messages in order to be strenghten again and again. Praise God for your diponibility of serving Him with such a dedication. You will remain ever in my mind. May God confort your family! Thank you for all your encouragements and kind, loving words that you shared with me on many occasions. Blessed are you for finishing your race in Christ and great is your reward! I will miss your voice so much!!! I am so grateful for all the times you spent talking on the phone with me. I always felt your love in your voice when you were talking. You've been a great friend to me! So many times you encouraged me and strengthened me. I will always remember your love in your voice. I know you are now the most happy you've ever been! Your reward in heaven is great for all the love and sacrifice you did for all the people around you!!! My heartfelt condolences, prayers and love to all of Karen’s family and friends ???? I love you so much and am so glad that you're no longer in pain. I was honored to take care of you in your last days as you always dedicated your life to others. We share so many memories, stories, tears and laughter. I still cant believe that you're not here but you're finally in your final home. I love you now and forever. I so was honored to visit, work with, to know, and be called her friend. I was so blessed to be aware of her so close relationship with her Heavenly Father! Karen showed that love to soo many! In the arms of her beloved Jesus now she is!